Team India would be desperate to move on after the poor outing in the recently-concluded second Test in Perth. Australia thrashed the visitors by 146 runs to level the four-match series. Resuming the day on 112 for 5 while chasing 287, India were all out for just 140. The writing was very on the wall when India’s two remaining batting hopes – Rishabh Pant and Hanuma Vihari – departed inside the first 40 minutes. The lower-order failed miserably once again as India lost their last four wickets for just 4 runs. What has further made things bad for Team India is the criticism they have faced for their decision as well sledging. The decision to not play the game with a specialist spinner attracted a lot of criticism. Virat Kohli then faced the heat after sledging his Australian counterpart. And now a video shows expletive-laden argument between Ishant Sharma and Ravindra Jadeja. The argument had taken place on day four when Australia were well on top of the contest. Sharma and Jadeja, who was 12th man and was on the field as a substitute fielder, were coming together and angrily arguing. 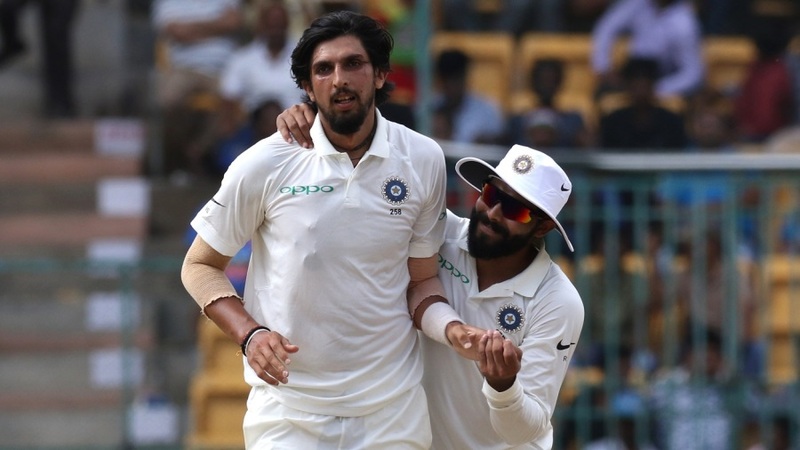 The pair stand toe-to-toe at one end of the pitch before Ishant stormed off – and then turned back to point at Jadeja before unleashing another barrage. But before things could go out of control, the other players intervened. “Who knows what they’re talking about, but it does seem very animated,” said Ricky Ponting from the commentary box. There’s lots of finger pointing. They were separated on a couple of occasions, they came back together again late and then Shami gets involved. “He’s just waiting at the top of his mark waiting to bowl. So things have obviously got a little bit heated between these two,” he added. The incident took place during the break in play after Nathan Lyon was struck on the helmet. While Lyon was getting the treatment and most of the Indian players were talking elsewhere, Sharma and Jadeja were caught swearing at each other in Hindi.